Lapels of the jacket are too long and is not fitting to the body. QleXX 20mm can be stitched / ironed behind of the lapels and steam pressed to shrink the fracture lines just enough and will become shorter & steadier and improve the fit. The base pattern at the back shoulder is designed to have extra space built for movement and comfort . QleXX 2 thread 12mm gives the garment a modest shrinkage and support the keep natural looks and necessary movement. in blazers are difficult to produce because of the extra necesarry space. QleXX 6 mm takes away some of this space. Stitch it first on the seam followed by the use of a steam iron gives the best result. 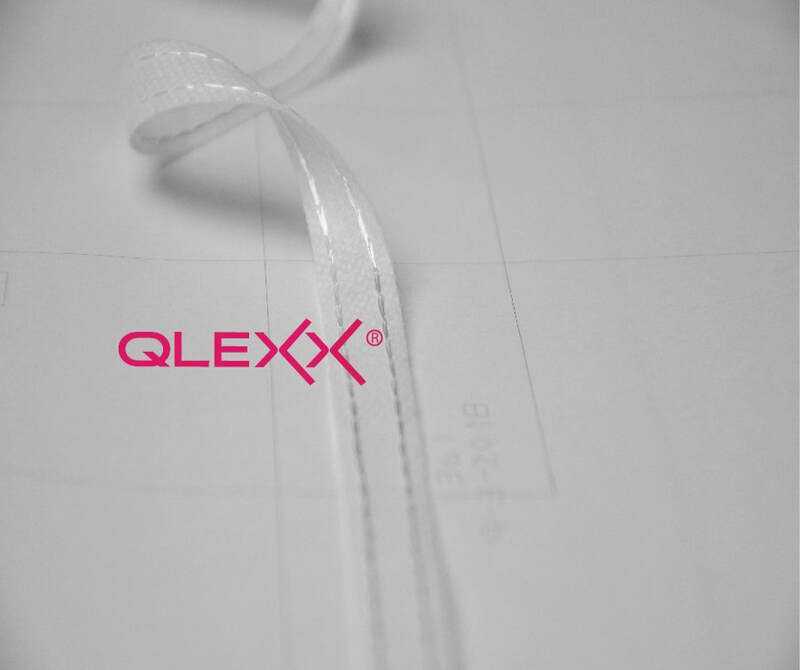 The QleXX team developed the 6 mm tape with care. There is one chain stitch thread to makes producing in round area’s possible such as armholes .Stitch it first and than iron carefully. Side Pockets in pants often are reason to place a tape there . Now with the 2 threads of qlexx 12 mm you will see that the pockets will stay closer tot the body and reduce the extra space.